Have you ever felt like you needed to clear your home or office of negative or unwelcome energy? Rather than packing up and never coming back, there’s a popular cleansing practice which may help: it’s known as smudging. 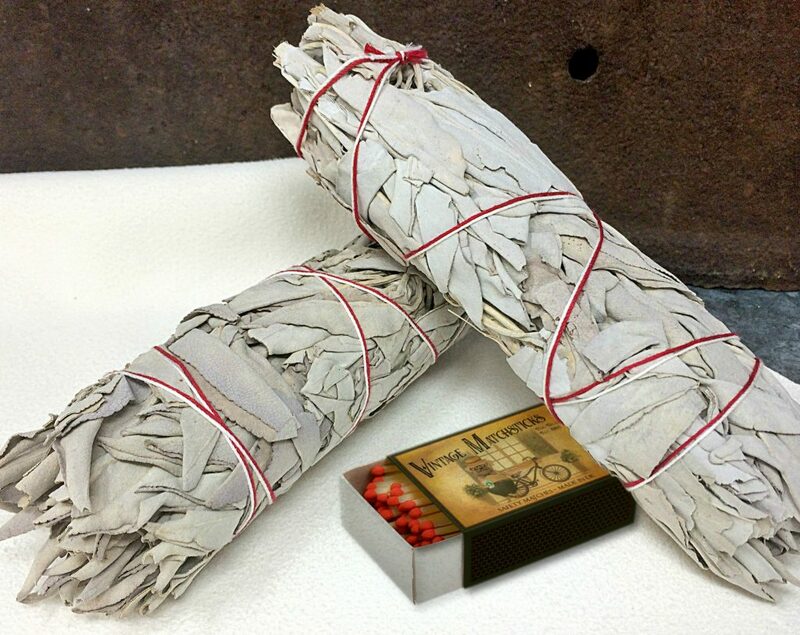 Sage, wrapped in thread, is universally used in a smudging ceremony. 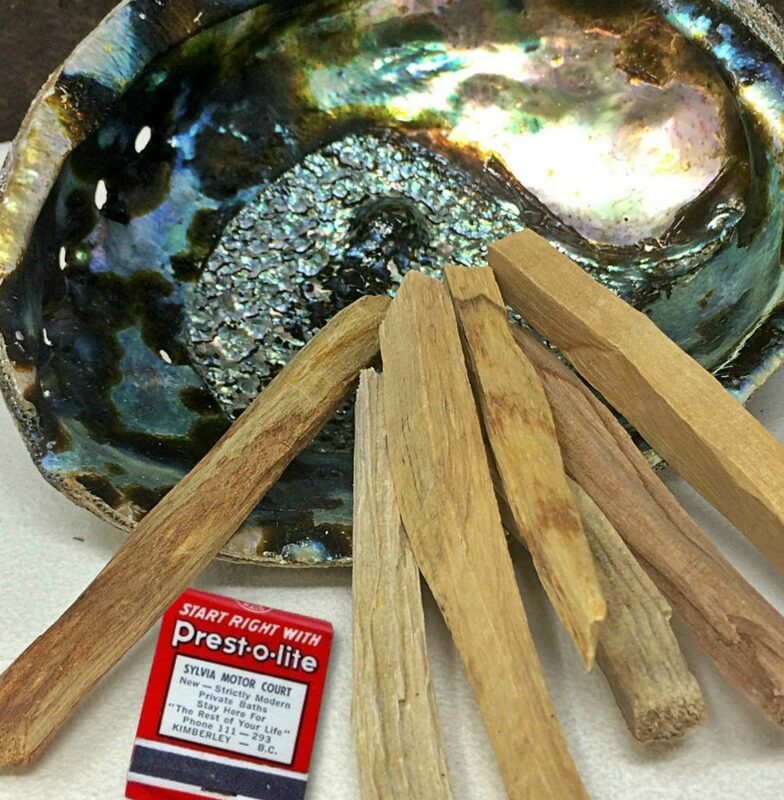 Palo Santo sticks and small bundles of sage are two of the more popular herbs used for smudging. Smudging is a cleansing ritual that has been used for thousands of years by indigenous people in North and South America. The purifying use of herbs, added to a fire for spiritual purposes, has been practiced by all cultures. The Catholic church uses frankincense, the ancient Greeks chose myrrh and frankincense, and the Chinese preference was for mugwort. 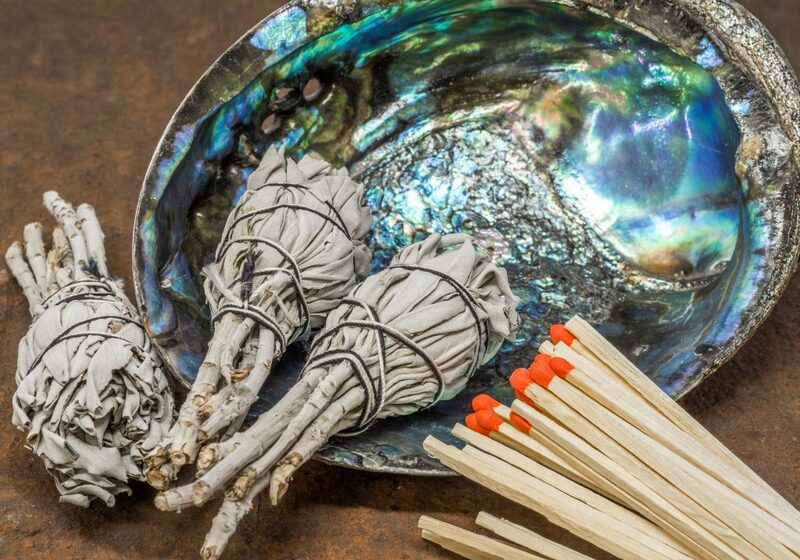 Smudging is essentially using the smoke of different herbs in your home, office, or any space you wish to cleanse. A prayer can be said as you walk clockwise around your space, being sure to get in smaller areas such as closets. The prayer helps bring clarity and focus to what you’re trying to achieve. Most people who practice smudging will employ it when they move into a new home, and sometimes once or twice a year afterwards. It can also be utilized if or when a sense of negative energy won’t dissipate. There are assorted books and websites which can help one find the perfect prayer to achieve a happy outcome. Not much is needed when planning to smudge your home or personal space. You’ll need a fire source, such as a book of matches; a fireproof container (a small ceramic bowl is fine; many use an abalone shell for this purpose), something to wave the smoke around, and an herb like sage or sweet grass to burn. Open a window where you plan to smudge so the bad energy has somewhere to escape. Light the end of your sage bundle, then blow out the flame so it smolders. As it glows and you walk the area to smudge, hold the bowl or shell underneath it so you won’t get ashes on the floor. Some use a feather to move the smoke about the space they are smudging, but it’s not required. Your gently waving hand will cause the smoke to waft. A note of caution if you have birds in the home: make sure their room is ventilated properly, or move them elsewhere for a short time. Palo Santo sticks (‘holy wood’, from the Spanish) burn well and offer a pleasing scent during the smudging ceremony. Burning sweet grass is used in clearing personal spaces of negativity, and its scent is memorable. The crystal in the small shell at right is Selenite, which is believed to offer good luck and protection. 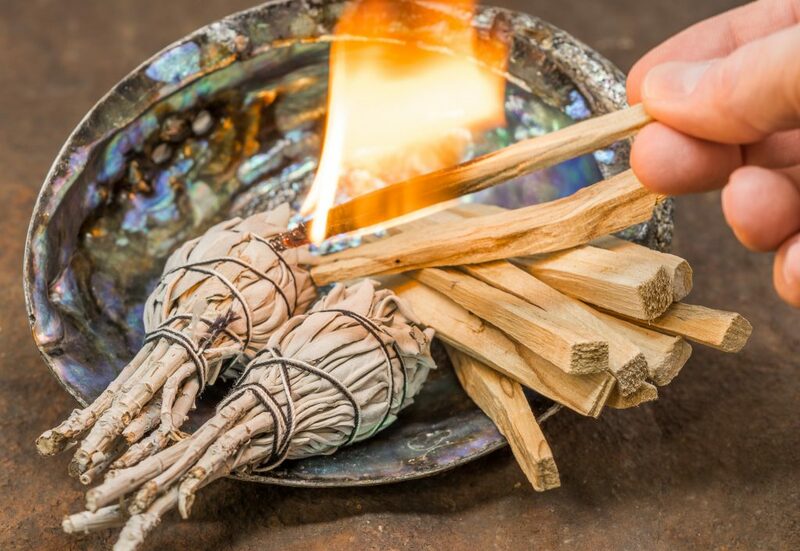 The choice of plants to burn for smudging is subjective and a personal choice: what are you hoping to accomplish by smudging? White sage is the most popular material used and is said to help with depression and to clear negative energy; studies show it’s actually effective in clearing airborne bacteria. Sweet grass comes from the Northern plains of Montana, Wyoming and the Dakotas and helps clear spaces of negativity. Any herb can be combined and burned to smudge your personal space. Palo Santo (Spanish for holy wood) comes from South America and can be used as incense or in the smudging process. It’s known for banning negativity and inspiring creativity. It also helps ward off insects and is easy to transport, as it’s in stick form. 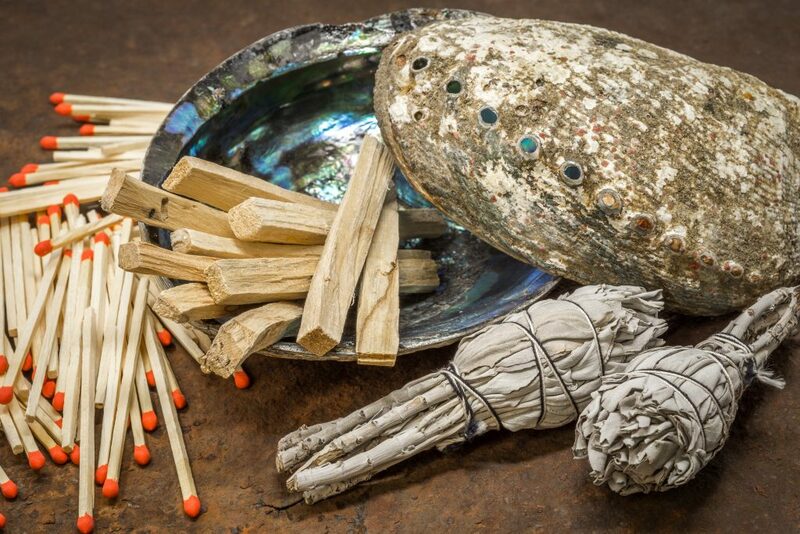 As always, if you are truly interested in learning all there is about smudging and the healing powers of burning herbs, there is an immense amount of information out there. It’s easy to research online, and you’ll develop a respect for this tradition practiced by so many cultures. A small bundle of sage is perfect for purifying a compact space such as a bedroom or office. Visit the Pickle Barrel Trading Post in Globe, Arizona, where sage, sweet grass, palo santo, and abalone shells are sold. We also carry a selection of books on this subject. 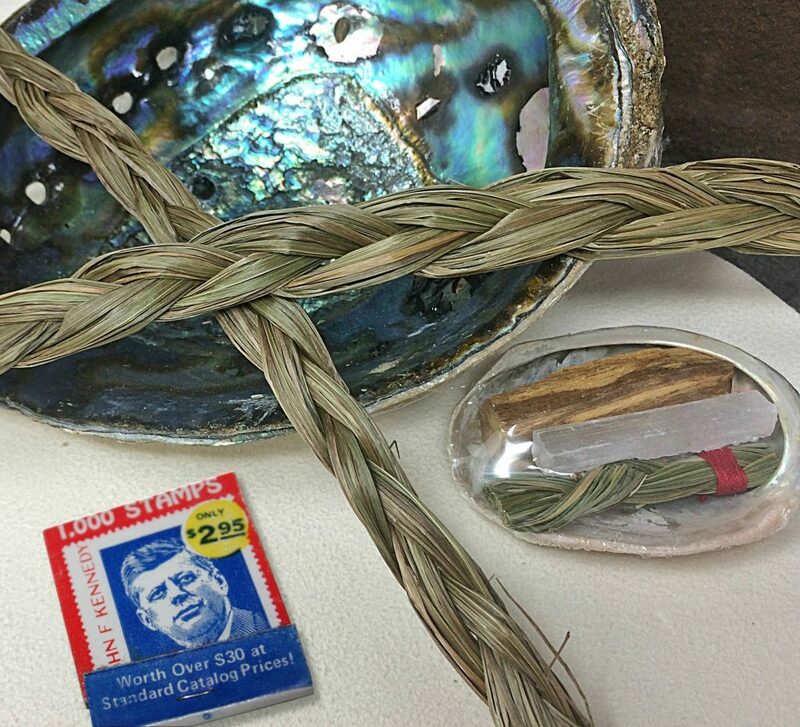 We even have starter kits to get you smudging!